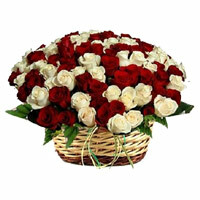 Online Flowers Delivery in Mumbai.Mumbai Online Gifts provides collection of impressive mixed roses in Mumbai. For Online Delivery of Colorfuls Flowers to Mumbai, place an order on Mumbai Online Gifts. Pictures are Indicative: Please Place order for 12, 13, 14, 15 and 16 February from Valentines Day Pages Only. Orders from other pages would not be accepted. The Aggregate Rating of this Webpage is 4.28 Out of 5 Based on Rating Received from 39 Customers.